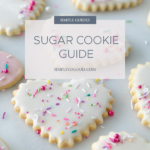 Follow this simple Sugar Cookie Guide for baking up the best sugar cookies you could ever imagine. 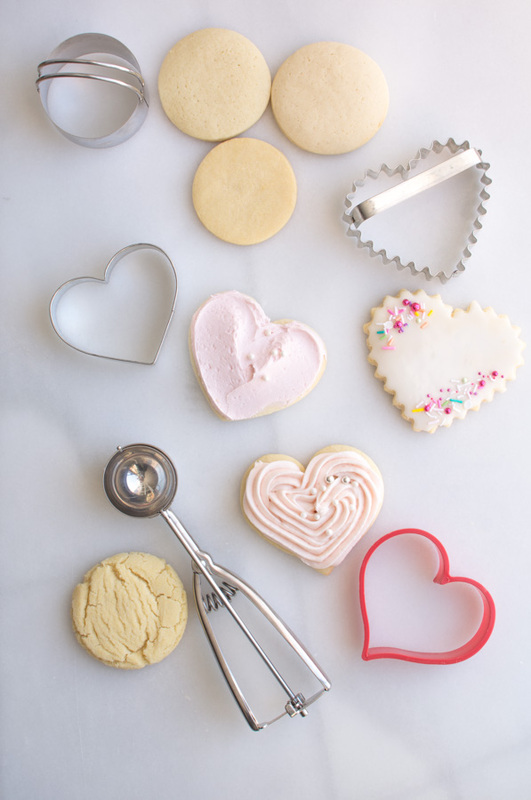 Which sugar cookie dough will work best with my cookie cutter? 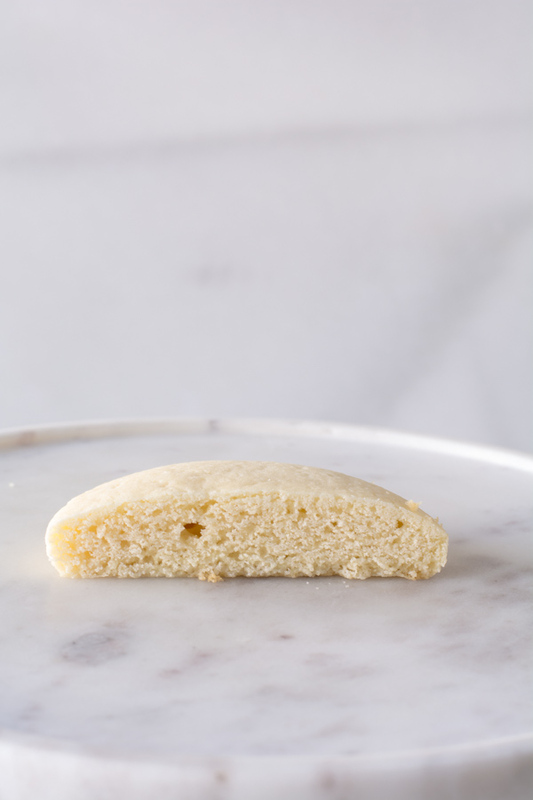 Sour Cream Sugar Cookies have a very soft dough that does not hold its shape well. I simply cookie cutter is best with little or no detail. Cut Out Sugar Cookies hold a shape very well. Detailed cutters work really well with this recipe. 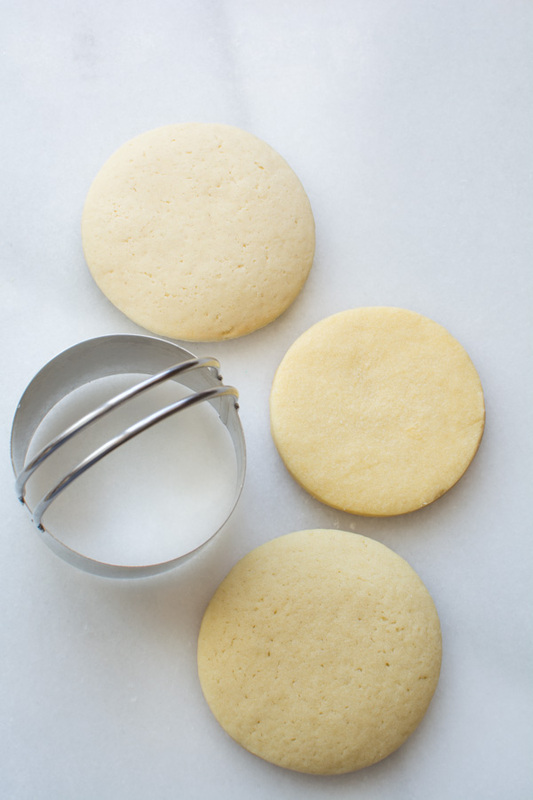 Butter Dream Sugar Cookies are thick and soft yet they will hold their shape while baking. 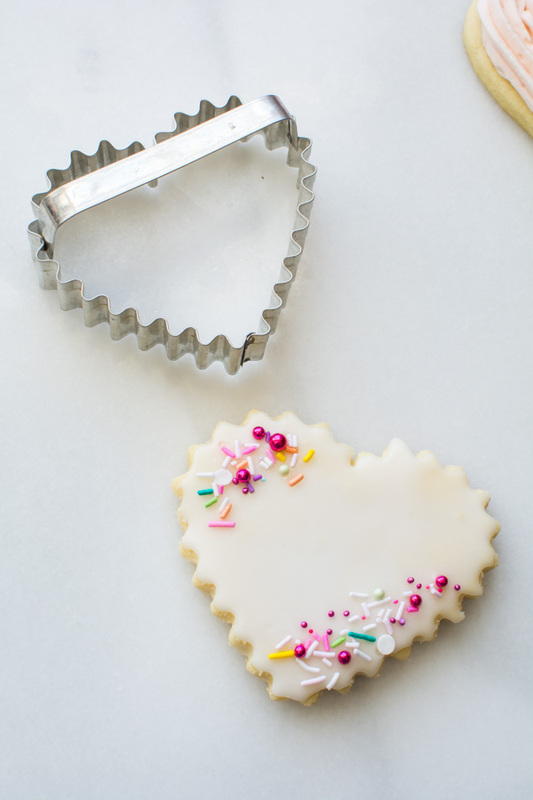 A detailed cookie cutter works well with this recipe. As you can see in the above photo’s, I used the same 2 3/4-inch cookie cutter on the Sour Cream Sugar Cookie, Cut Out Sugar Cookie, and the Butter Dream Sugar Cookie. 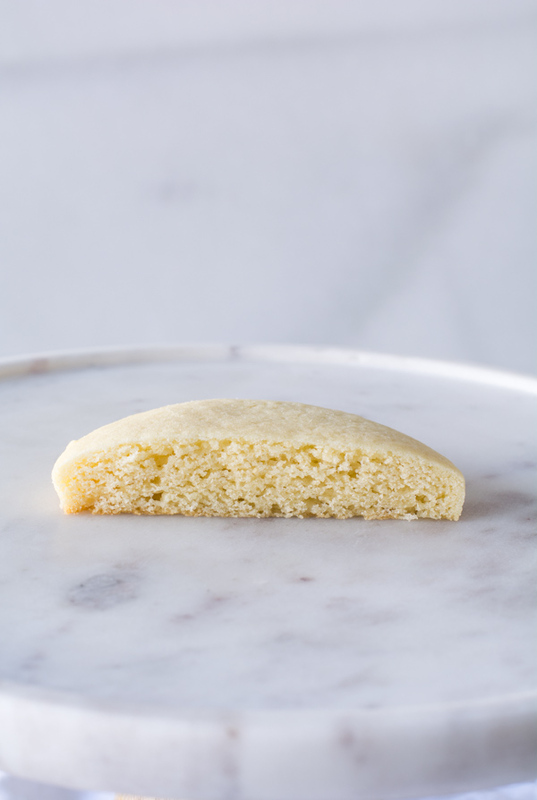 The softer Sour Cream and Butter Dream Cookies spread out about 1/2-inch. The Cut Out Sugar Cookie remained the same size. 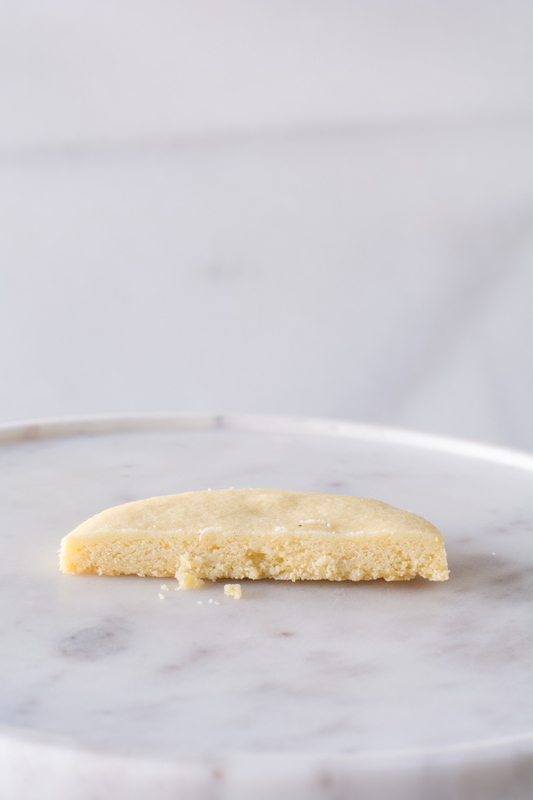 Rich and buttery Cracked Sugar Cookies get their name from the way the tops crack after baking. The no-chill, no-roll, no-cut dough make them ready in no time. The cookie dough is rolled in sugar before baking giving them a sweet and crisp exterior while the center is soft and chewy. 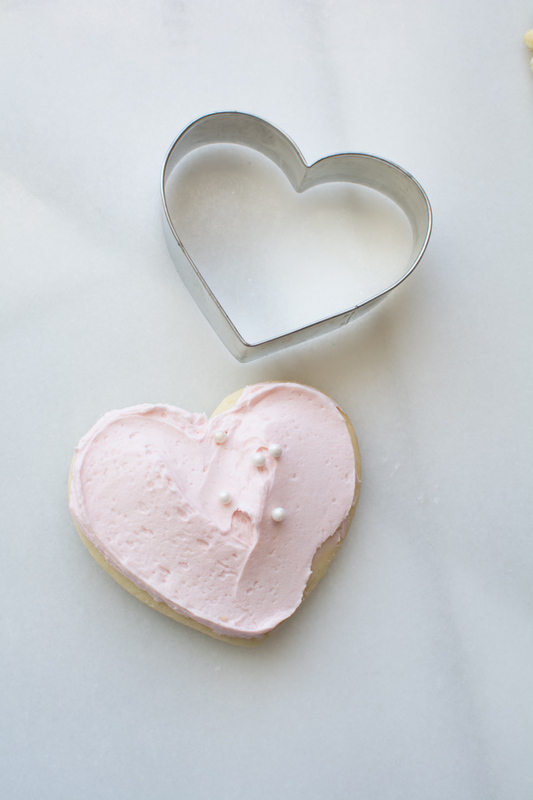 This sugar cookie can be iced as well. Simply omit to roll the dough in sugar and bake as directed. Once the cookie has cooled, use cream cheese icing or buttercream icing swirled on top. These cookies freeze wonderfully for up to 2 weeks in an airtight container. 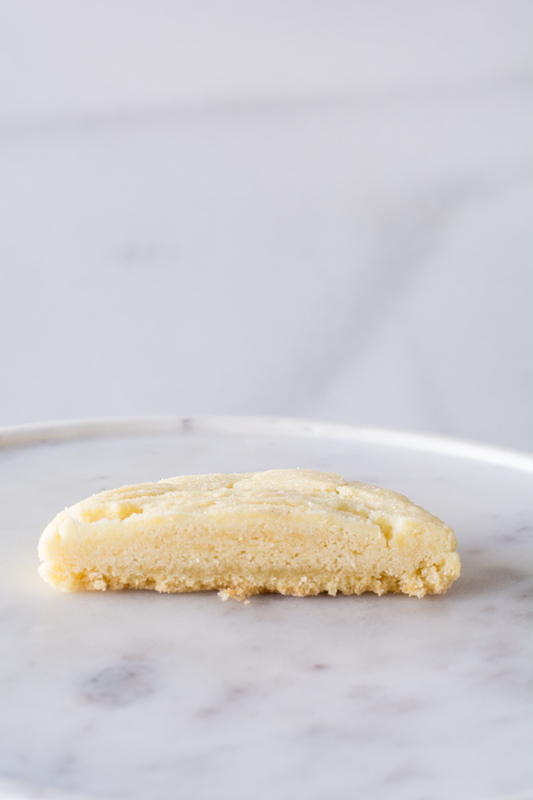 Sour Cream Sugar Cookies are so tender and soft. This cake-like cookie is made rich with sour cream and butter. This is my favorite sugar cookie of all time. I can eat a dozen. As you can see in the cross-section of the cookie, the dough rises during baking. The cookie will spread out as well. They go perfectly with cream cheese and butter icing. The dough does require at least 8 hours of refrigeration which can come in handy if you only have time to make the dough and not roll out and bake the cookies. Another plus is the cookies freezer very well. Sometimes after baking the cookies, I don’t have time to ice them so I allow them to cool completely then stack them between sheets of waxed or parchment paper. Place in an airtight container and freeze for up to 2 weeks. The cookies can be iced even if they are still frozen. 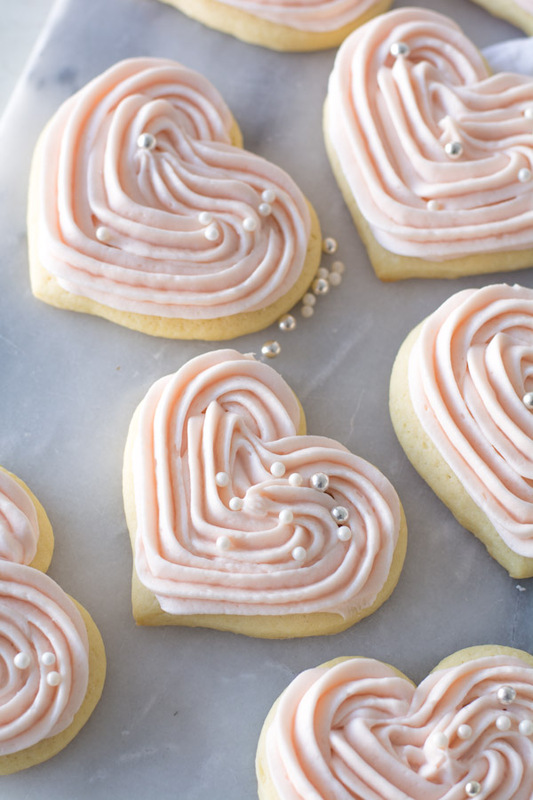 Rich and buttery Cut-Out Sugar Cookies are the most tender melt-in-your-mouth sugar cookie. This no-chill dough rolls out beautifully and the cookies hold their shape perfectly when baked. Imagine a tender shortbread cookie glazed with a thin almond flavored icing. This is a heavenly cookie and so easy to make. Even after gathering up the scraps of dough and re-rolling the cookie is still tender and soft. It’s amazing how well these cookies hold their shape. These cookies also freeze very well, especially before icing. To freeze iced cookies simply place on a baking sheet and put int the freezer until completely frozen. Once frozen layer between sheets of waxed or parchment paper. Freeze in an airtight container. I try not to layer them more than 2 layers. The title says it all! 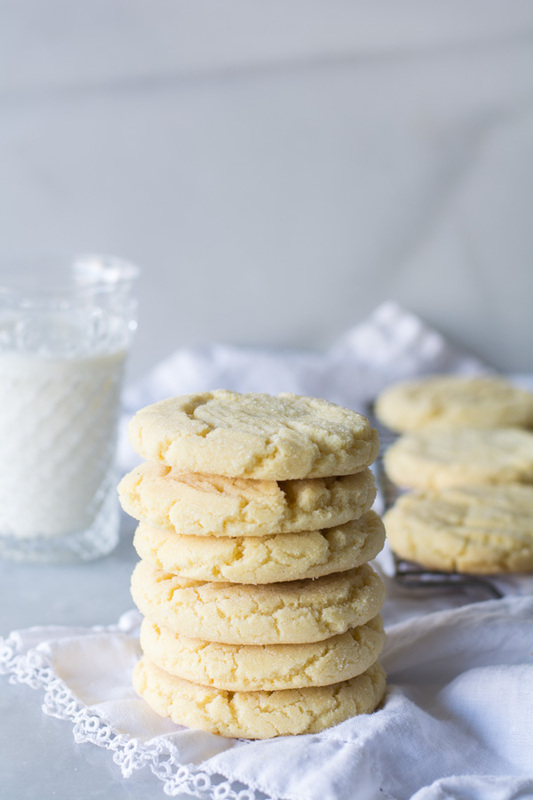 Tender and buttery sugar cookies iced a fluffy buttercream. 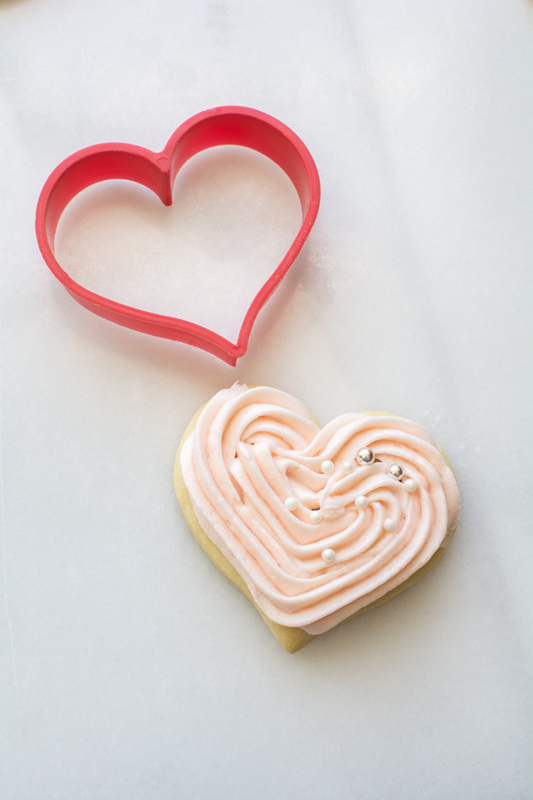 Butter Dream Sugar Cookies hold their shape when baked and don’t require refrigeration. 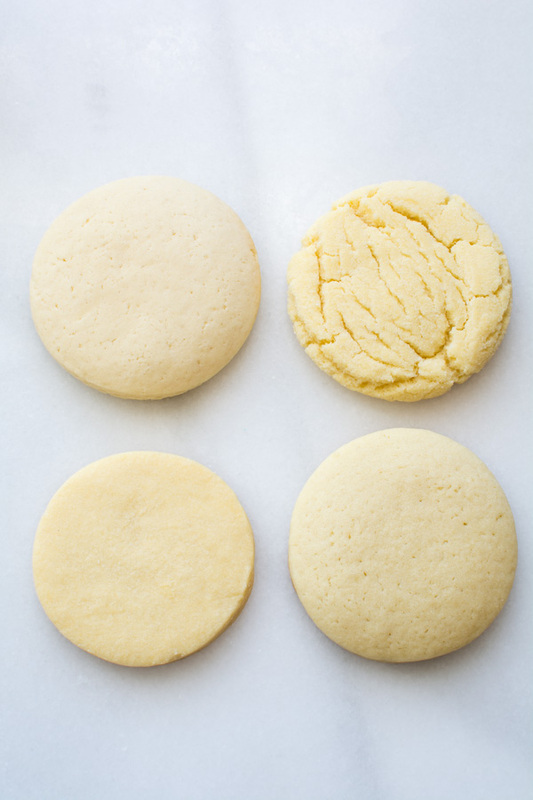 If you want to make soft, perfect sugar cookies, this is the recipe last minute. No refrigeration required. The cookie dough rolls out so easily and the cookies will hold their shape with a detailed cookie cutter. They puff up so thick. I like to ice them with a fluffy buttercream icing, but a cream cheese icing is just as decadent. 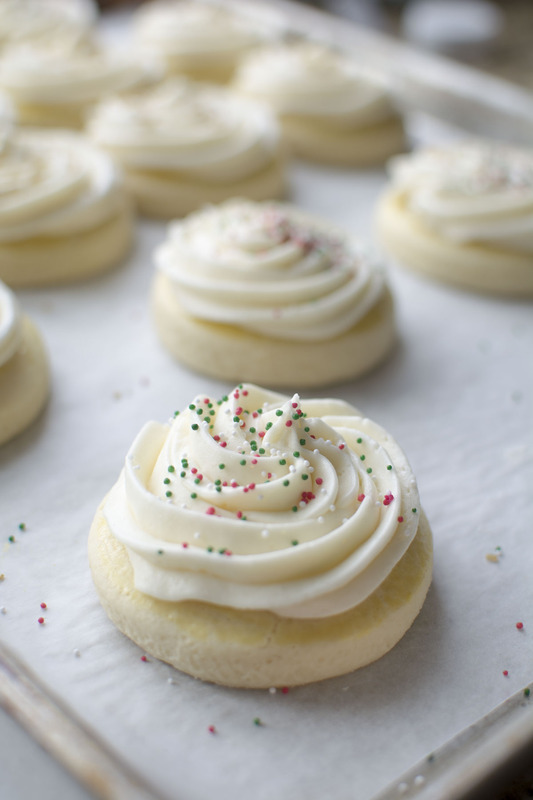 Butter dream sugar cookies freeze great for up to 2 weeks. You will never regret making these cookies. BUTTER!! BUTTER!! BUTTER!! I have said over and over again how butter gives baked goods such a great flavor. Remember butter has a lower than body melting temperature, therefore it melts in your mouth. Shortening in cookies will only leave a film in your mouth with little flavor. Butter is better! Don’t let the butter soften too much. The butter should leave a dent in it when squeezed. It shouldn’t be too soft that it has to be scraped from the wrapper. Cream the butter and sugar together for at least 3 minutes or more if the recipe requires longer mixing. Don’t be too heavy handed with the flour. Add the last cup of flour bits at a time. Too much flour will make a heavy cookie. If the dough needs to be chilled, chill it. Don’t add more flour to make the dough easier to roll out. Don’t roll out the cookies too thin. Most sugar cookies bake great when rolled out to 1/4-inch thick. Don’t overbake! Cookies should just barely be turning a golden color around the edges. 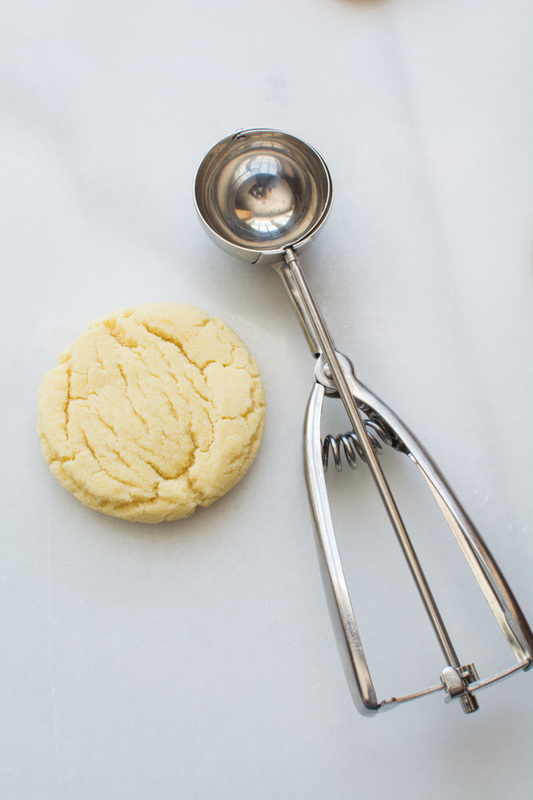 Use the right cookie cutter for the dough being used. Don’t use a scalloped edge cutter with the Sour Cream Cookie dough. 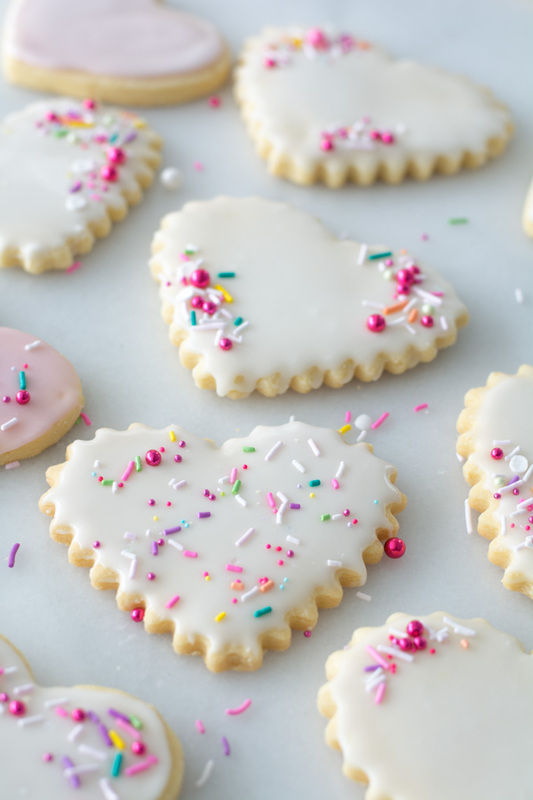 Do you have great tips for making sugar cookies? I’d love to hear your great tips along with your favorite recipe. If you have used any of the recipes above, I’d love to hear any of your comments. 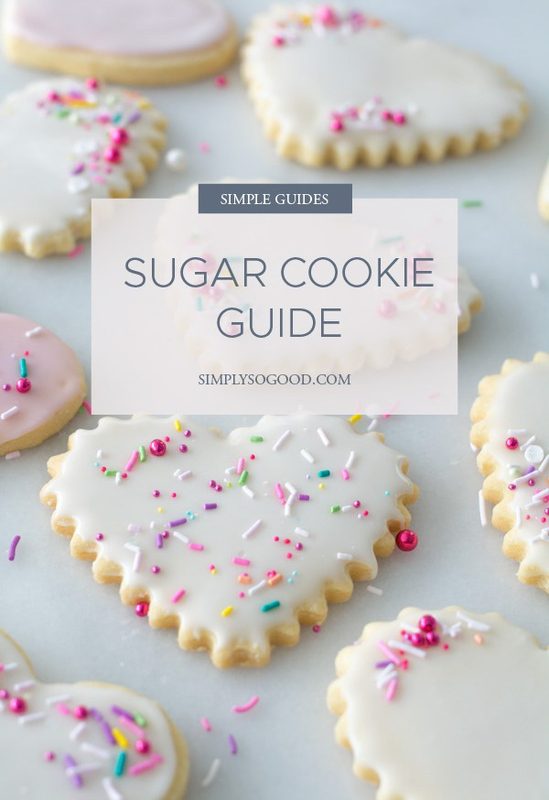 This simple Sugar Cookie Guide will help you choose the perfect dough recipe for the most flavorful and beautiful cookies for any occasion. Now I know why sugar cookies never what i WANTED. the ONE I TRIED THE MOST WAS THE SOUR CREAM COOKIE. SO TOMORROW IT’S COOKIE TIME. FINGERS CROSSED. This post is amazing. It is so helpful iN determinIng which sugar Cookie to bake for Which purpose. Your recipes are always so Delicious. Thank you so much for your Detailed and descriptive posts!